After an extensive planning process, the Board of Directors of Aging & Family Services of Mineral County along with a dedicated group of employees has been working toward the goal of the new, Multi-Purpose Keyser Senior Center. This $1 million project will further our mission to “provide services and programs which will enable individuals, with an emphasis on those over age 60, to live their lives with independence and dignity”. The funds raised through the campaign will be used to move the existing Keyser Senior Center, Health-Wellness Building (Smith Home) and our in-home care and administrative offices to an expanded, 13,000 square foot multi-purpose Senior Center. The new center will be located on our property behind BB&T bank off of Harley Staggers Drive. This will be a community facility where older adults come together for services and activities that reflect their skill interests and diverse needs. • Better Geographic Location, the new center will be conveniently located on the outskirts of Keyser, near a number of services crucial to seniors including the county’s health department. • Increase awareness for Meals on Wheels, congregate lunch, transportation and Senior Center programs. • The limited space and parking available at our current facility hinders the expansion of programs. The new location will expand our parking and will allow greater access to our food vendors. 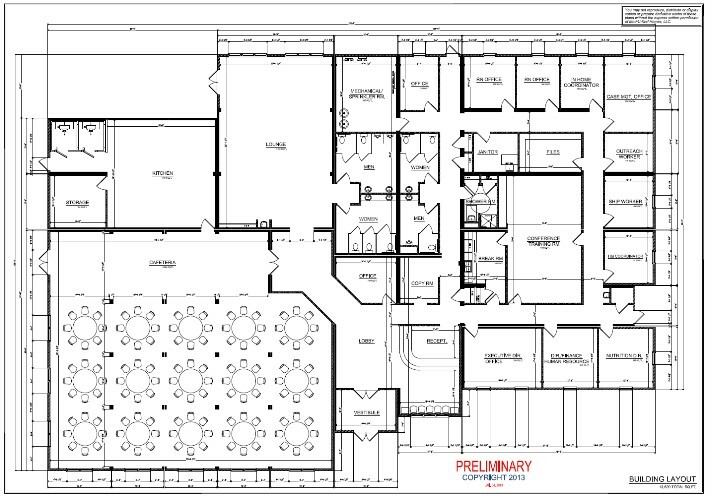 • Drawing folks throughout the community to enjoy activities available with the increased space of this new center. Include a large dining hall, which will be available to the community for rentals. A large community room will allow new offerings of a variety of dances, exercise programs, and space for social activities such as cards, crafts, Scrabble, Wii and more. • The new building’s location provides immediate access to ample parking for program participants and volunteers. This fresh, current facility will serve as an example of the modern day Senior Center. The new facility will not only allow Aging & Family Services to improve the quality of existing services and programming; but will enable us to expand our ability to reach and engage all of Mineral County’s seniors. Various events throughout the year, such as the Senior Olympics, will allow this facility to be utilized by seniors from throughout West Virginia. This population will benefit as a result of expanded services. As baby boomers transition to “senior” status, Aging & Family Services will involve this new generation of senior adults, redefining the role and nature of seniors in our community. Once a part of the Aging & Family Services family – should one’s situation require greater levels of service they will already be comfortable and familiar with the organization best suited to meet their needs.